A few weeks ago I came across a Kickstarter campaign for the Ticwatch S, which stands for sport and E, which stands for express, models. I actually discovered the campaign on the very last day it was being offered but being a bit unfamiliar with Ticwatch and Kickstarter, I didn’t back the product because I simply didn’t know enough about either. However, I was very much interested in the functionality of the Ticwatch S and E models, after seeing their promotional video. 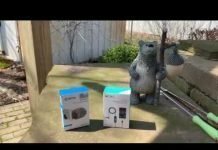 After owning a number of fitness trackers, I had been in the market for a fully functioning smartwatch, namely one that could respond to text messages and make and answer phone calls. Though the Samsung Gear Fit 2 does a good job with notifications, I was only able to reply back with canned messages. I also wanted a watch that looked more like a watch instead of a sporty fitness band. My GearFit just didn’t look right on my wrist when wearing my Sunday best. The bright yellow Ticwatch E I pre-ordered is definitely a sporty looking watch that makes a fun statement but I also wanted something a little more conservative for everyday use so I picked up the Active version as well for a good price. I purchased the watch through Geekbuying which was my first experience buying directly from a Chinese merchant. 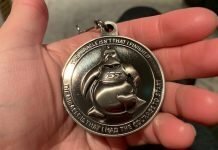 It was an interesting experience but I did receive the watch within about 2 weeks of ordering and I saved about $40 from Amazon’s price. 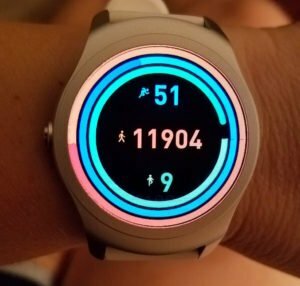 What persuaded me to go ahead and order the Ticwatch Active was that it is supposed to upgrade to Android Wear 2.0 in November, according to Geekbuying. That makes a lot of sense considering their newest watches will be running on the same operation system. I wouldn’t imagine that Mobvoi, the maker of the Ticwatch will continue to invest in and upgrade two different operating systems on their watches. There’s nothing wrong with the watch’s current operating system but like Samsung, there’s few apps to choose from and download. The words I keep coming back to regarding my experience with my Pebble watch are fun, enchanting, charming, and unique. The watch has so much character, unlike anything else out there on the market. 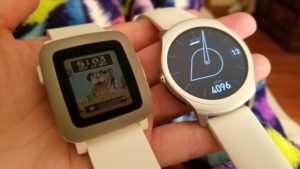 Many smartwatches are easily compared to each other because they essentially do the same things in the same way but Pebble was different. 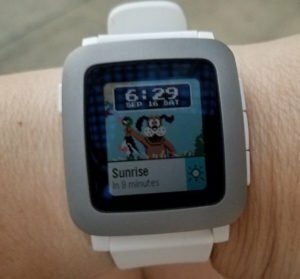 The Pebble Time is like having your best buddy as a sidekick on your wrist, kind of like a loyal dog you saved from the pound. Other smartwatches take themselves entirely too seriously and come across as kinda snooty, like a high-maintenance poodle. The Ticwatch falls somewhere in between. I guess like a Border Collie. 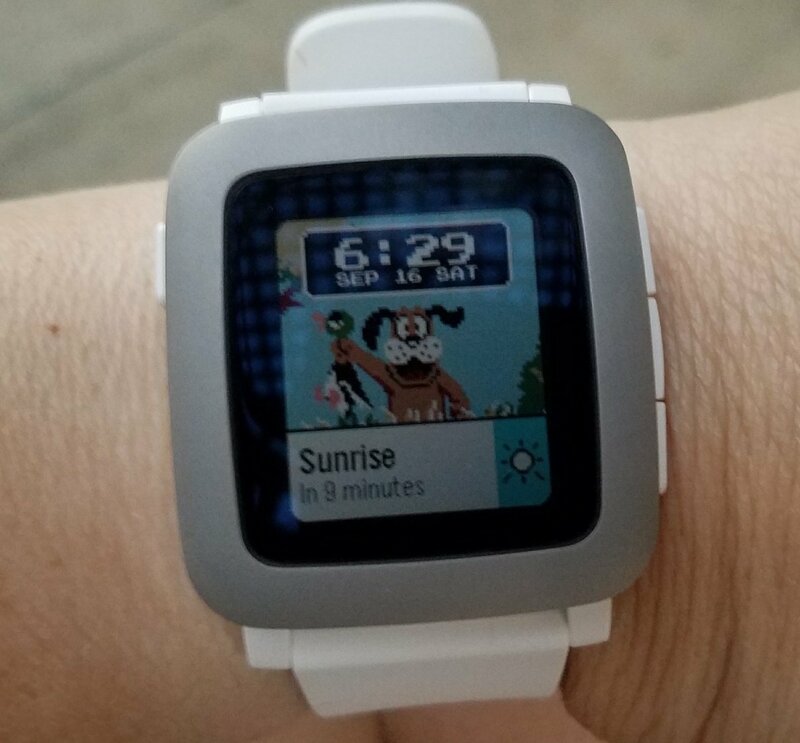 I plan on keeping my Pebble and I hope it lasts a long time because it’s the watch I will choose when I desire a longer battery life for a weekend trip or a waterproof option when I go to the beach, boating or kayaking. And Fitbit, if you’re reading this, make a watch like the Pebble Time for goodness sakes! With some added fitness capabilities and a modest price I think the Fitbit crowd would love it as much as the rest of us. As much as I like the Pebble, however, I keep finding myself going back to the Ticwatch because it really ticks off all the boxes on my list of must-haves. As long as it is connected by bluetooth to my Galaxy S7, I can make and answer phone calls and send and reply to text messages. This has come in handy several times in just the week I’ve owned the watch. It’s great to be able to leave my phone in another room and respond to messages or answer phone calls without getting up to get my phone or feel like I have to have my phone next to me 24/7. I can watch a television show without mindlessly picking up my phone to check Facebook for no reason for the 40 billionth time that day. The Ticwatch also has some decent fitness capabilities. 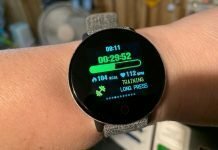 I’m still testing those out against the Gear Fit 2 and Garmin’s Vivoactive and have experienced mixed but promising results. I’ll have an in-depth review on its heart rate monitor and GPS accuracy very soon. But for those who were Pebble enthusiasts, I would recommend checking out the Ticwatch, especially the new versions coming out soon. The S and E models should be shipping by November 2017. They are supposed to have improved GPS and HR capabilities over the company’s current lineup plus they’ll be shipping fully compatible with Android Wear 2.0 which opens up the opportunity to choose between tons of apps to add to the watch. As far as my daily experience with Ticwatch, I’m easily getting a full day’s battery life. Coming from the GearFit 2 which also has to be charged daily, I’m used to plopping my watch on a charging dock in the morning before I hop in the shower. By the time I’m ready to begin my day the watch is ready to go. If you’re used to a longer battery life, it may take some getting used to but the trade off is more functionality over the Pebble. Gender Neutral Design – so many smartwatches look ridiculous on a woman’s wrist or way too big on smaller wrists in general. This watch would look equally as good on anyone. Lightweight – it’s very comfortable to wear. No matter how good a watch looks or functions, if it’s uncomfortable you won’t wear it. (Microsoft Band, cough, cough) Comfort is everything. 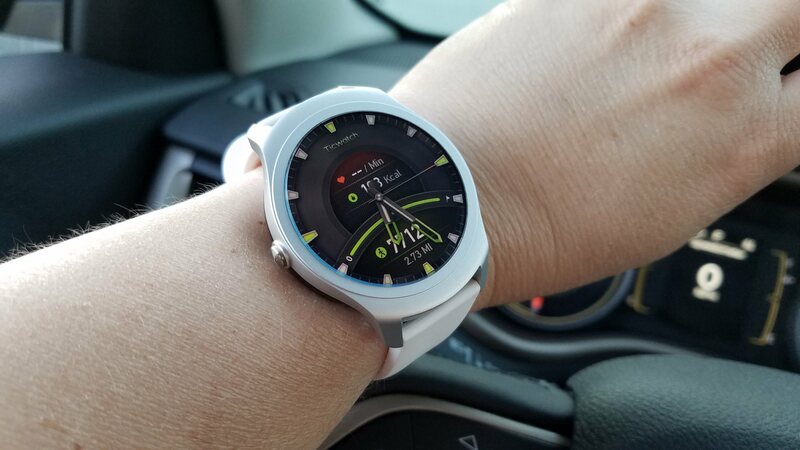 Overall, I find myself rooting for the Ticwatch because it offers a very good product that can compete with the big guys. The price, especially for the E-series at $159 should garner a lot of interest from fitness enthusiasts to smartwatch geeks. It works with both Android and iOS though it works best with Android. This isn’t the watch’s fault but rather Apple. They don’t particularly like to make their phones compatible with non-Apple watches for obvious reasons. So, blame Apple. Next articleBirds Use Their Eyes To See Magnetic Fields for Migrating?